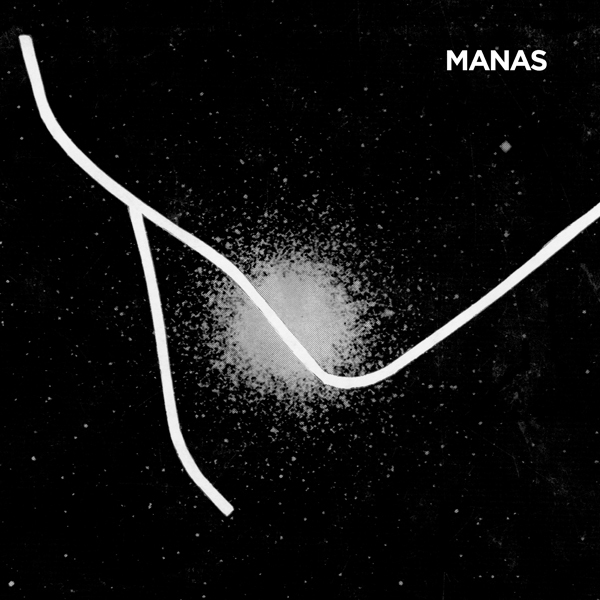 First LP by Manas, a duo comprised of guitarist Tashi Dorji and drummer Thom Nguyen. Tashi, who’s based in Asheville NC these days, has been cutting a wide swathe through the guitar underground over the past few years. Originally focused on acoustic weaponry, he has added electric guitar to his arsenal, without giving up any of the weird angular bite of his initial work. Thom is known to have played with a couple of Asheville free rock bands, Nest Eggs and Mendocino, but this is the first exposure his excellent work will be having outside of Buncombe County. As a duo, Manas explores lots of improvisational ground, ranging from extreme sideways expansions of sonics texture — with Tashi’s guitar moving decisively outward while Thom’s drums explode in a mostly (but not entirely) parallel plane — to repetative reflecto passages that curl up into a tight ball before achieving escape velocity. The record is a blast, with deceptively arch liner notes by none other than Ben Chasny, who has been one of Tashi’s loudest cheerleaders for many a moon. But we can’t really blame Ben. This Manas LP makes us wanna shout about team spirit too. Guh! Guh! Guh!